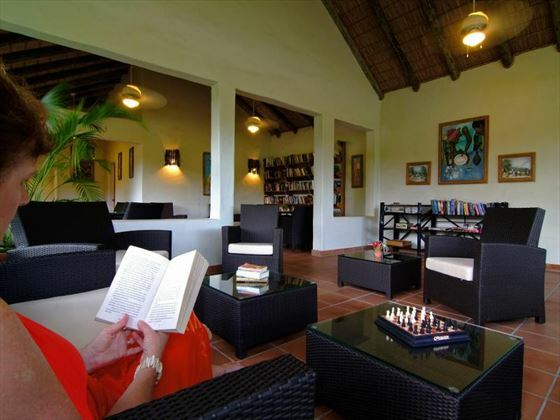 The retreat may be stylish and rustically luxurious, but pretentious is a word that will never be used to define Galley Bay. 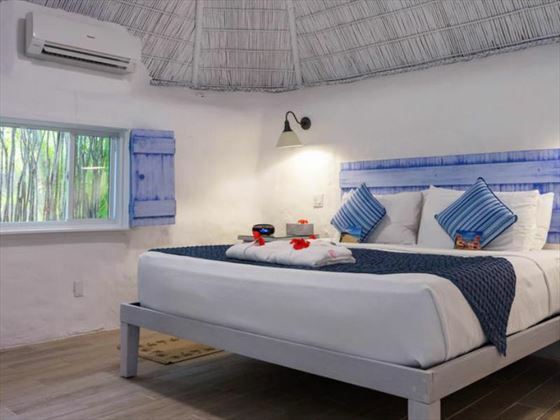 Laidback couples who simply want to indulge in an all-inclusive stay and enjoy each other’s company will relish a stay here – and we especially recommend the Gauguin Cottages for an extra-special stay. 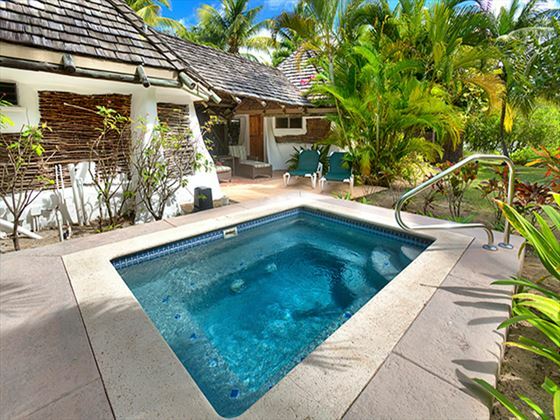 With thatched roofs, an expansive sun deck and your very own plunge pool, you’ll be forgiven for wanting to spend your whole holiday in your romantic hideaway. 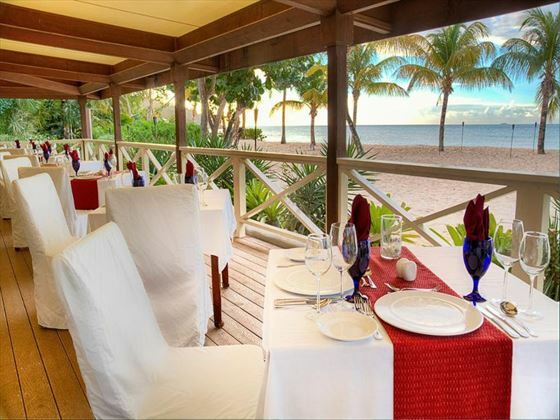 The resort’s restaurants are truly special, and our favourite of all is Gauguin. Who could resist dining in a private cabana right on the beach, gazing into each other’s eyes as you tuck into decadent cuisine? For a fun evening of letting your hair down, we love the TeePee Bar’s frozen Galley Bay Special, combining coconut cream, light rum, grenadine and fresh bananas to create a summery concoction. 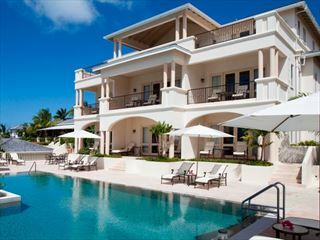 Galley Bay is one of an excellent range of Elite Island Resorts properties. 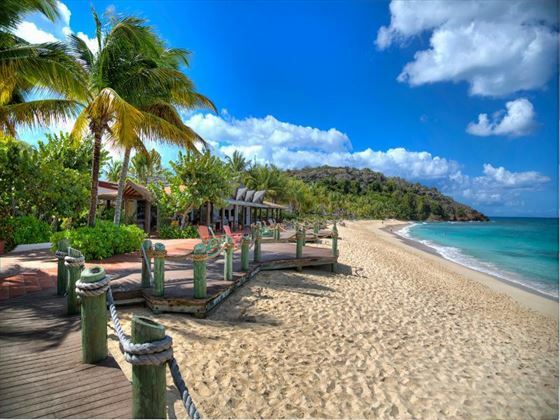 Nestled along a pristine white three-quarter mile beach, this tropical retreat boasts a beautiful scene for a romantic getaway. 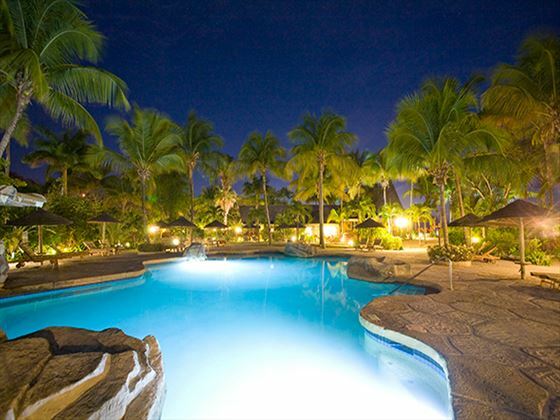 The turquoise lagoon is a haven for exotic birds, and the 40 acres of tropical gardens create a wonderfully secluded feel. 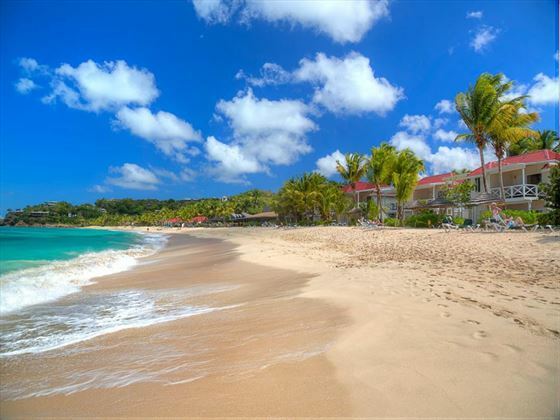 Tranquil and idyllic, Galley Bay is the perfect base for those who wish to spend their holiday simply relaxing and staying in one place. 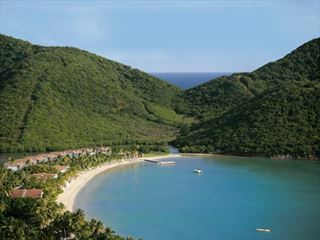 The resort is a 30-minute drive from V C Bird International Airport. 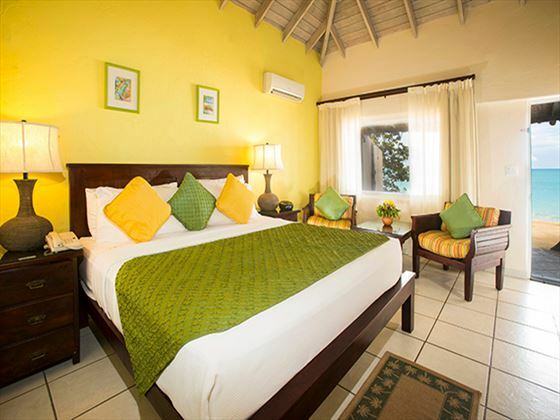 Deluxe Beachfront rooms are either 1 or 2 storey and feature a walk-in wardrobe, large beach patio with beach shower and bathroom with ‘his and hers’ showers. 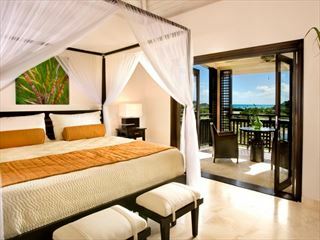 Second floor rooms boast spectacular ocean views. Ground floors lead directly onto the beach. Maximum occupancy 2 adults. Gauguin Suites stylish and contemporary new addition to the resort. 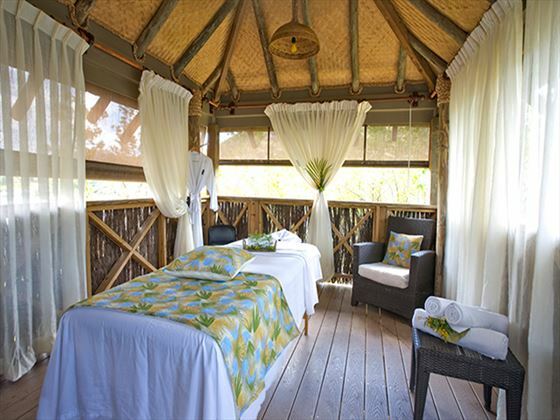 Located at the edge of the bird sanctuary lagoon, each suite consists of a thatched roof with a large enclosed air conditioned sitting area and its own plunge pool. Maximum occupancy 2 adults. 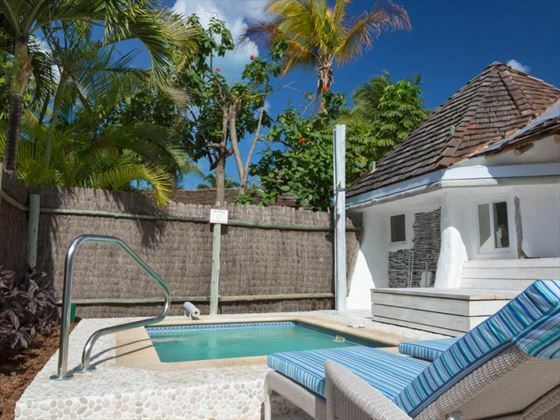 Premium Beachfront rooms are either 1 or 2 storey and feature a sunken living room with wet bar, private furnished terrace or patio, and bathroom with ‘his and hers’ showers and extra large bathtub. 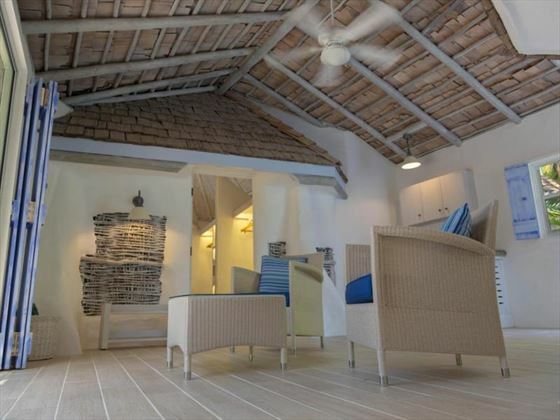 Ground floors lead directly onto the beach. Maximum occupancy 3 adults. 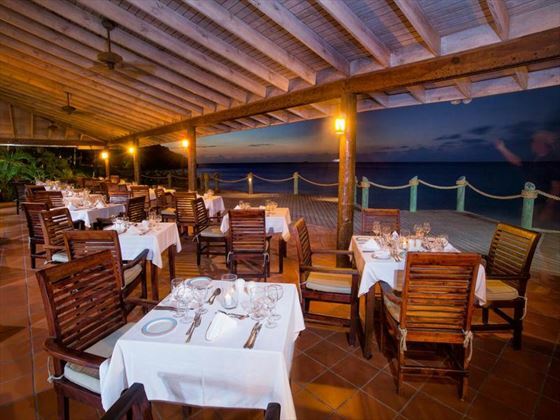 Ismay’s restaurant and bar: beachfront restaurant serving the best island gourmet flavours and is perfect for a special ocasion. There is a $45pp surcharge for this restaurant. The Barefoot Grill: casual dining experience either beach side or at a gazebo, for lunch and snacks featuring fresh local ingredients. Offer valid when staying for a minimum of 5 consecutive nights. Please note guests are required to present a valid form of ID (passport, driving license, ID card) along with a valid credit card at check-in. At check-in a US$350 pre-authorisation will be processed on your card to cover any incidental purchases or similar expenses. Incidental purchases may include things like tours, excursions, gift shop purchases, and dining in our specialty restaurant. We understand that not all guests incur additional charges during their stay, but this process assists the resort with fraud prevention. The pre-authorisation is released at check-out, assuming you have not charged any purchases to your room. I loved staying at this little hideaway, and I’d definitely recommend eating lunch in Gauguin – the food is fabulous, and the setting is just stunning.